Ever since Epic Games announced their new store and strategy to take market share from Steam, they have been giving away a free game every two weeks. 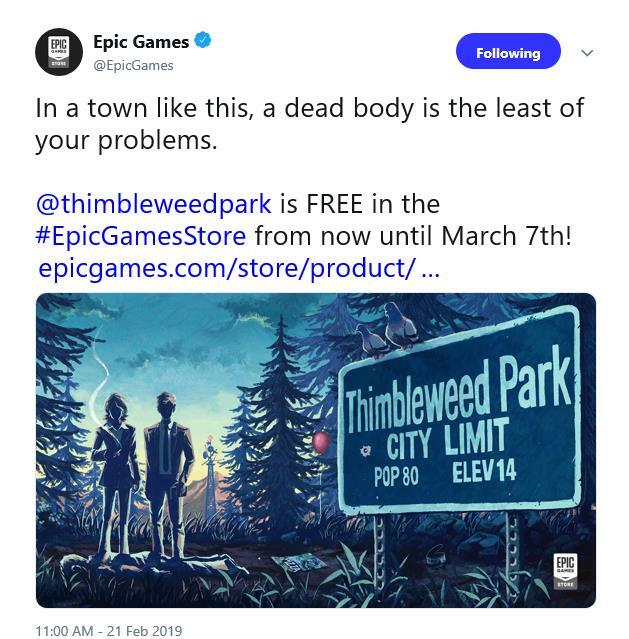 Having just wrapped a two-week freebie of Axiom Verge, the store front how has Thimbleweed Park for free from now until March 7th. Once Thimbleweed Park's run is over, it looks like Slime Rancher is next up from 3/7 - 3/21.